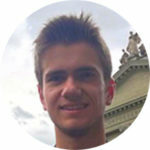 Noah Boegli is the Chief Information Officer of SWISS Virtual. He is in charge of all technology, and web services deployed within the virtual airline. He still flies actively as a flight simulator pilot on top of his administrative duties. He is a fan of the Boeing 777 and personally invested in computer science.